All of Our Staff is Fear Free Certified! But what does that mean to you and your dog or cat? Our goal is to make your pet’s visit to our hospital as comfortable, relaxed, and enjoyable as possible. 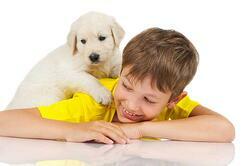 This sets the stage for Happy and Healthy living for the life of your pet. Please allow us to assist you in making each visit enjoyable and fear free. Click on the image to play the video about what Fear free means to you and your pet. We have determined that there are 6 basic steps of “going to the vet” that can cause fear and behavioral issues in some dogs. We want to make each step a fear-free process. You can also download these tips. If your pet has had previous anxiety or fear issues when visiting our hospital, contact our office a few days prior to your scheduled visit and inquire if anxiety medication would help your dog be more calm and relaxed. Do not feed your dog a meal before going to the vet. If a dog has fasted, he/she will be more apt to enjoy our treats, which reduces stress. Also, if lab work is performed, a fasted sample is often preferred. If your dog has food issues, bring their favorite treats for us to use. Encourage your dog to defecate in the morning before you come in. If we are doing an annual exam or your dog has GI issues, please bring a fresh stool sample (~1 teaspoon) in a baggie or collection container (we can provide if needed). If we are going to collect blood and urine as part of a wellness screening, it is best not to let your pet urinate immediately before coming into the hospital. Use a harness or head collar to secure your dog and a good leash. If you use a flat collar, make sure the pet cannot pull itself out of that collar. Distract your dog with calming music. We have Pet Acoustic Cubes that play music that has proven to be calming to pets. You can also select some soft classical music that offers calming qualities. This will drown out road noise that can be nerve-racking to your dog. Pet Acoustics also offers the Ultra Calmer which is a calming music collar to help calm your best friend. Crating small dogs during the ride is best so your pet does not accidentally get tossed around inside the car (like in wide turns or sudden stops). This can be unsettling. A cover over the sides of the crate may also help reduce the stress of the ride. Be sure to use a seat belt to hold the crate in place. Use Adaptil, a calming pheromone, in the car to help reduce travel anxiety. Thunder shirts can also help some pets be calmer while in transit. If your dog balks about coming through our doors, don’t drag them. Try using treats, toys, and verbal rewards to encourage them. Smaller pets can be carried in. If your dog will not enter the hospital, consider rescheduling the appointment and giving anxiety medication prior to the next scheduled visit. If the visit is of a more critical nature, we can also administer anxiety medication upon arrival and then wait for its full effect before proceeding. Our scales are recessed to help reduce fear with the weigh-in. We can use treats to help the dog settle, helping us get an accurate weight. Let us know if they need hypoallergenic treats. Once in the exam room, allow your dog to roam and “own” the room. Use treats to calm them. We have calming music playing to help with their comfort. If your pet has a favorite toy, bring it and let them play with that toy in the exam room. Familiarity can be soothing. Most times a doctor and technician will enter the room together. The doctor will sit for a short time and allow your dog time to get to know him or her, and use treats to build the relationship. We will collect your dog’s history during this time. The technician will write up the information provided on the Pet Report Card and enter it into the computer for future reference. The exam will be performed when your dog is most comfortable. This can be on the floor, the bench or on the exam table. Our goal is to make this as easy for your dog as possible. For added comfort for your dog, our tables have a non-slip mat that is not cold to the touch. 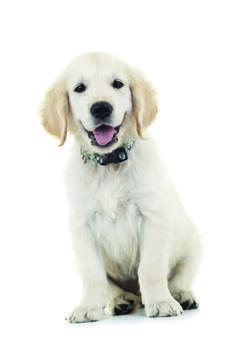 We use pheromone diffusers in each examination room to help calm your dog. We favor proceeding slowly during the exam to help maintain this effect. If your dog becomes too stressed, then a sedative, anti-anxiety medication, or even rescheduling the appointment is sometimes best. Repeated, negative experiences can cause undue stress and make the dog more reactive with their next visit. We want these to be fun and happy times for both you and your dog. When we have completed the exam, we will go over our findings with you. We also use that time to reward your dog with treats or a toy so they have lasting, great memories. If you can teach your pet to roll over and allow their tummy scratched, that often helps us not only with an exam but also the collection of some samples (or an x-ray, ultrasound exam). We use a local anesthetic cream when collecting samples to help make the process more “pain and fear free”. The use of pheromone sprays and/or calming caps can also help reduce stress during this portion of the examination. Some dogs get extremely anxious when having minor procedures. Anxiety medication or a stronger sedative may be indicated to avoid undue mental and physical stress. We will consult with you about this step. We will not use bodily force to accomplish these tasks as that produces major problems for dogs. Research has shown that every single step of the basic 7-step process of “going to the vet” can cause fear and behavioral issues for some cats. Our goal is to make sure your pet is both happy and healthy after coming to Intermountain Pet Hospital and Clinic. Please take a few minutes to help your pet make this visit the best ever! You can also download your tips! The optimal crate for cats is a top-removal model with two exits – one at the front and one on top. Make sure you have comfortable bedding in the crate to make your cat feel safe and relaxed. Keep your crate available at all times as part of your cat’s furniture, perhaps with the top off so they will use it as a bed at times. Give treats & provide meals in the crate to make it more comfortable. You may have to start their feeding near the crate, and gradually work their way into the crate itself. Take the door off so it does not encumber your kitty from accessing the crate – make this crate irresistible for your feline. Remember cats need time to adjust to the unfamiliar. Stay calm, stay positive. Cats do not learn from punishment or force. Give rewards to encourage positive behavior. Do not feed your cat a big meal before coming. 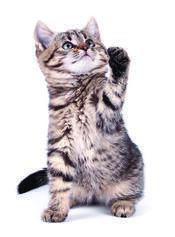 If your cat is hungry, they will be more apt to take our treats, which helps reduce stress. If your kitty has food issues, bring their favorite treats for us to use, plus a favorite toy. Familiarity can be soothing. If we are doing an annual exam or your pet has GI issues, bring a fresh stool sample, (equaling at least 1 teaspoon) in a baggie or collection container. We can provide one if needed. If your cat has had previous anxiety or fear issues in going to the vet, contact our office a few days prior to your scheduled visit and inquire if anxiety medication would help your feline to be calm and relaxed. Distract the pet with calming music. We have Pet Acoustic Cubes that play music that has proven to be calming to cats. You can also select some soft, classical music during the drive that offers calming qualities. This will drown out road noise that can be nerve-racking to your pet. Calming pheromone spray or wipes applied to the bedding will help your kitty handle the ride. Try to have the cat-carrier sit level on the seat. Add a light towel draped over the sides of the crate to eliminate distractions and stress. Use a seat belt to hold the crate in place so it does not slide around on corners or sudden stops. It is good to condition your kitty by taking him/her for short rides, then giving treats so they are accustomed to the car and crate. When setting the crate down, do not use the floor. Instead, use countertops or chairs instead. Cats like to be on perches. Do not permit dogs that are in our reception area to come up and sniff the crate, as that is very scary for some cats. Our weigh-in scales for kitties are in the exam room and we will catch their weight as part of the exam. Once in the exam room, let your cat roam and “own” the room. Use treats to calm them. We will also have calming music playing to help with their comfort. We use pheromone diffusers in our exam rooms to help felines settle in. If your pet has a favorite toy bring it and let them play with it in the exam room. Most times a doctor and technician will enter the room together. The doctor will sit for a short period to permit your cat time to get to know him or her, and use treats to build a relationship. We will collect history during this time. The technician will write up the information provided on the Pet Report Card and enter it into the computer for future reference. We will perform the exam where the cat is most comfortable. This can be on the bench or on the exam table. The goal is to make this as easy for your pet as possible. For added comfort, our tables have a non-slip mat that is not cold to the touch. If your cat gets too stressed, then a sedative or other anxiety medication, or even rescheduling the appointment is sometimes best. Repeated, negative experiences can cause undue stress and make the cat more reactive on the next visit. We want these to be fun and happy times. When we have completed the exam, we will go over our findings with you. We will also use that time to reward your pet with treats or a toy so they have lasting, great memories. The use of pheromone sprays can also help reduce stress during this portion of the examination. Some cats get extremely anxious when having minor procedures. Anxiety medication or a stronger sedative may be indicated to avoid undue mental and physical stress. We will consult with you about this step. We will not use force to accomplish these tasks as that produces major problems for cats.